As of tomorrow, I will be eight months pregnant. EIGHT MONTHS. Out of ten. That means that in less than two months, we will be parents. We will have a baby girl to care for and keep alive 😉 Our lives are about to completely change whether we are ready or not! I am so thankful that this has been an incredibly easy pregnancy. I do not take this for granted, as I know that so many women are miserable the entire time. I have had maybe a handful of days that were uncomfortable or miserable, and that has mostly been slight hip pain (and mostly at night). God has been so gracious to me throughout the past eight months! Our baby is currently 4lbs, 13oz from their best guess and she is a healthy weight. Depending on how much she grows, it is likely that they won’t let me go past 39 weeks (July 27). She is very active and sometimes I wonder if she’s dancing in there! She is still “breech” but has plenty of time to turn over, thankfully. This mama is hoping for a completely natural birth, so she needs to cooperate 🙂 Haha. 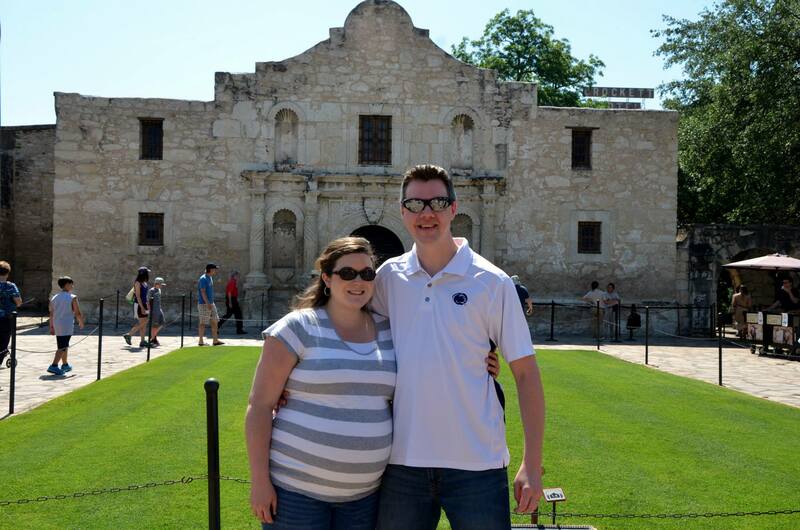 Last week, Brennan and I went on our “baby-moon” to San Antonio and had a wonderful time. We made sure to balance the need for rest/relaxation with exploring the area and I think we did pretty well. We spent a day in Austin, as well, and we saw the State Capitol and the Lyndon Johnson Library/Museum, both of which were worthwhile visits. The heat was a little much for me, which I know must be due to pregnancy (and the fact that PA hasn’t had any heat yet this year) because it doesn’t usually bother me very much. 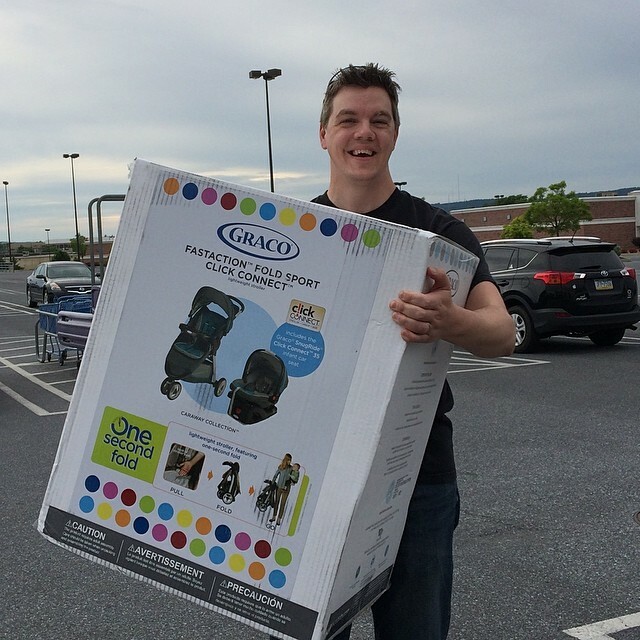 When we got home, we realized that we spent less than we had budgeted on our trip (and on car repairs), so we were able to purchase our stroller/car seat off of our baby registry! This was the most important thing left on our registry, as we need to be able to bring her home from the hospital 🙂 The rest of the items we can get as we need them, but this one had to be purchased. The only other thing we need to get in the next two months is the glider that we registered for so that I have a comfy place to feed our baby. Other than that, I think we’re ready for her to arrive! I still can’t believe that we’re about to be the parents of a baby girl. I can’t wait to see what she looks like, to observe her little personality, and to be in awe of the miracle that God is giving us through her. Hi! first congratulations! A baby is always a joy- got here by way of some research on sonic..Since your blood sugar is an issue, you should know that sonic doesn’t have sugar free slushies. They CALL them sugar free slushies because the syrup is sugar free, but the ice that makes the slushie begins as hot water and gallons of corn syrup thats put into a machine.Sonic is under fire for this right now–and found out that over 80% of their employees did not know that corn syrup was sugar. Good luck and take care!